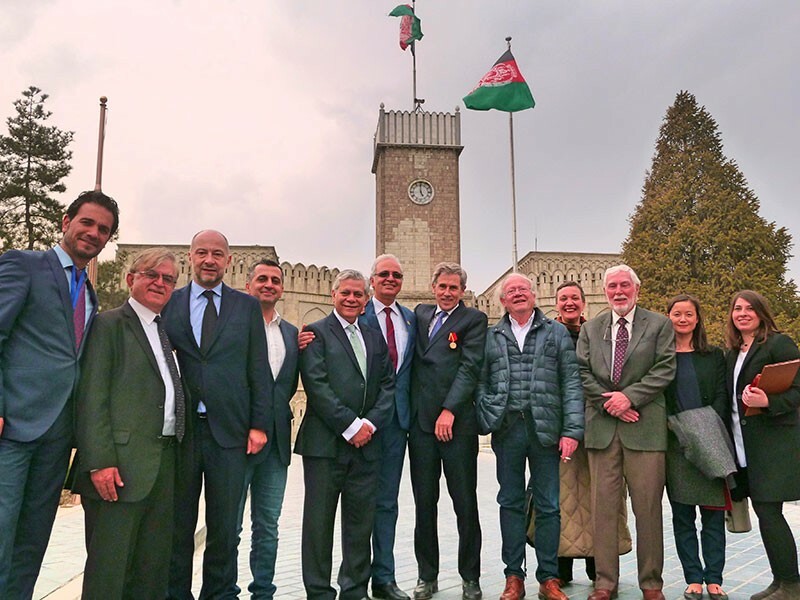 On Saturday 10 March 2018, Dr Eric Cheysson, Chairman of La Chaîne de l'Espoir, was invited at the Afghan Presidential Palace in Kabul for an exceptional event. The Afghan state, represented by the President of the Republic, Mr Ashraf Ghani, expressed its gratitude to Dr Eric Cheysson for his involvement and commitment to Afghanistan over the last 40 years, by awarding him the "Mir Masjedi Khan” medal, in the presence of Her Excellency the First Lady Rula Ghani. The Mir Masjedi Khan medal is one of Afghanistan's highest civilian honours. It is granted to persons who have served Afghanistan and its people with loyalty and dedication. During the last 40 years, Dr Cheysson has travelled regularly to Afghanistan, first in the early 1980’s to bring assistance to civilians and resistance fighters at the time of the Soviet invasion, then later as part of surgical humanitarian missions, and since 2006, with the inauguration of the French Medical Institute for Mothers & Children built by La Chaîne de l’Espoir and managed jointly with the Aga Khan Development Network. In his acceptance speech, Dr Eric Cheysson has indicated that the medal recognises the efforts of all the members of La Chaîne de l’Espoir committed in the development of the French hospital from its very opening in 2005. He has thus accepted the award in the name of all the persons involved in the projects in Afghanistan.